UPDATE August 24th, 2017: Fiesta Farms says it has purchased the land it operates on. 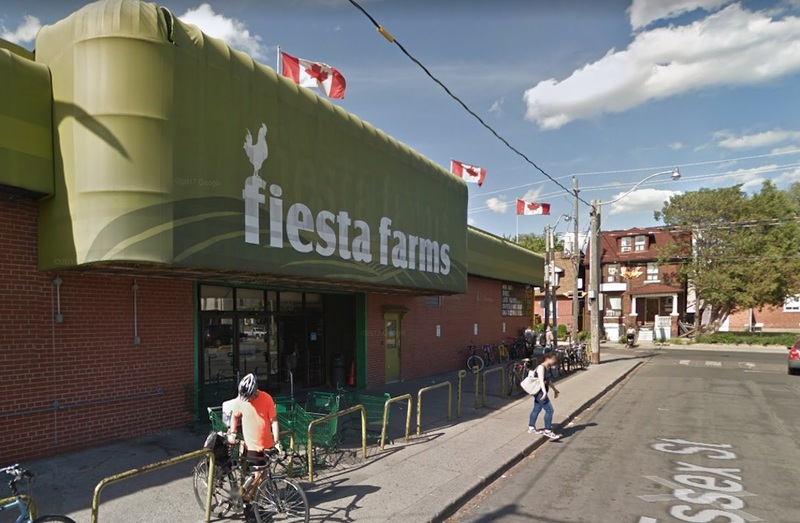 The site of Fiesta Farms, a beloved Toronto independent grocery store with a garden centre, is part of an assembly of several properties for sale, BuzzBuzzNews has learned. But Tracey Virgona, daughter of Fiesta Farm’s founder and owner, Joe, tells BuzzBuzzNews of plans to buy the land the family-run business has operated on since 1989. In real estate, if a tenant has first right of refusal like Fiesta Farms does, it gives them the option to purchase the property the landowner is selling, so long as they can match third-party offers. “Something we’ve always wanted to do was own the land so that we can really just do what we want with it — so this is a blessing in disguise,” Virgona continues, noting she learned of the possible sale of the lands about a month ago. If the tenant manages to buy the land, what do they intend to do next? “Renovation,” Virgona answers, laughing. “Right out the gate. It was something we were planning for in January,” she adds. Colliers International originally confirmed the listing, which includes 2 Essex Street — which is the Fiesta Farms site — as well as Fiesta Gardens at 13 Essex Street, the 168-176 Christie property and 150 R, a parking lot. Together the properties, which are being pitched as a “Toronto infill income/redevelopment opportunity” equal 2.09 acres of land. The self-described “largest independently owned grocery store and garden centre” has become a staple in the Christie Pits neighbourhood. A photo of a printed Colliers advertisement appeared on Twitter yesterday. It lists the bid date as July 5th. Reaction from supporters was swift and strong on Twitter following the ad’s posting on the social-media platform. This was updated from a previous version to include information from Tracey Virgona of Fiesta Farms.